“I would like to note that in September we signed a bilateral intergovernmental agreement on military cooperation,” the Russian President said on Thursday, during a ceremony to present credentials at the Kremlin in Moscow. 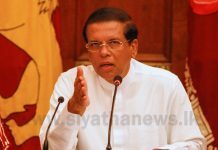 President Vladimir Putin says Russia maintains traditionally friendly relations with Sri Lanka and is interested in closer trade and economic cooperation, including in fishery, agriculture and tourism. 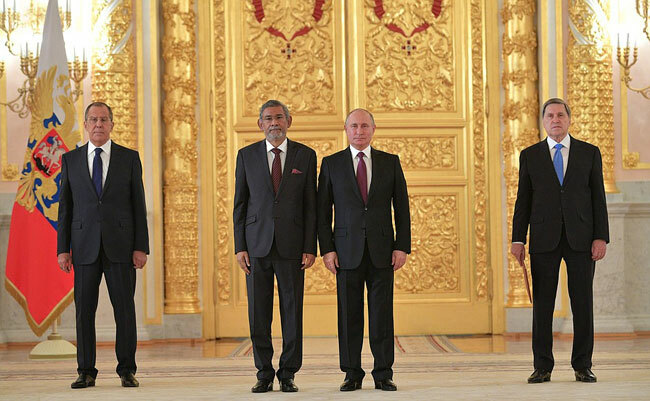 Heads of 23 diplomatic missions including Sri Lanka’s newly-appointed Ambassador to Russia, Dr Dayan Jayatilleka, were present in the Alexander Hall of the Grand Kremlin Palace as they presented their credentials to the President of Russia.